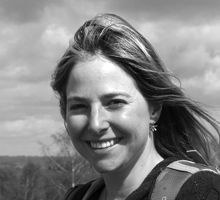 Prof Alice Roberts - Science live! She is a clinical anatomist and Professor of Public Engagement in Science at the University of Birmingham. Alice has presented a range of programmes on BBC2, including Coast, Wild Swimming. The Incredible Human Journey, Origins of Us, and Prehistoric Autopsy. She is also to be heard occasionally on BBC Radio 4. She has authored four popular science books about anatomy and human evolution, and writes a regular science column for the The Observer.